← Who does and does not like the US pull out from the Iran Deal. Good God! Have you seen this?!?!? As we read the shenanigans leading to the “signature achievement” of President Obama one could bet that lots of money changed hands to ink this “deal” (not the least of which was the billions handed to the Mullahs). 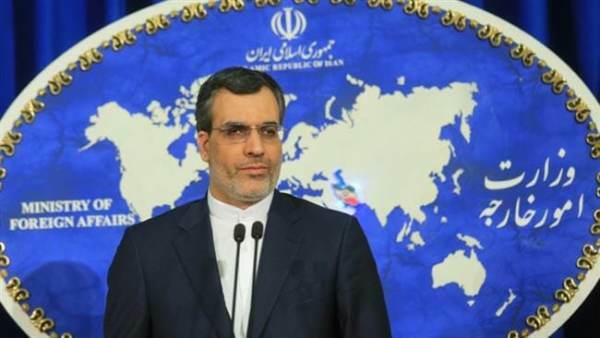 Iran’s Foreign Ministry Spokesman Hossein Jaberi Ansari warned Western officials this week that if they do not put pressure on the Trump administration the Iranian regime will leak the names of all Western officials who were bribed to pass the JCPOA. And thanks to MG for sending this to me. 4 Responses to Good God! Have you seen this?!?!? Is there no end to political collusion and underhanded dealings? If the Iranians do release a damaging list of politicians, what will the politicians who have defended this bad deal say? That “you can’t trust Iran” – after so much of the deal relied upon the West’s “trust” of Iran? Trump is doing the exact right things. As any builder knows, keep chipping away at the foundation of an old building and eventually it will come crashing down. Please, please, please–reveal ALL the names. Well to me the corruption runs so deep in the Obama Reign of Terror, that its going to take a guy like our President to CLEAR THE STENCH OUT OF WASHINGTON DC. Any politician that’s vehemently against him should be investigated. I WANT THE NAME LIST FROM IRAN… AND I WANT IT NOW. HANNITY & INGRAM AND Tucker Carlson are going to have a hey day with this story. Will the CROOKED DEMS HAVE ANY HAIR LEFT TO PULL OUT AFTER THIS REVELATION!!?? Stay Tuned Next Week!